Maria Hrynenko, owner of the property where a gas explosion destroyed three buildings in the East Village in 2015, has found a buyer for the lots ahead of her trial on manslaughter charges. On May 2, Yaniv Shaky Cohen’s Nexus Building Development Group Inc. — called Avenue Second Owner LLC in the sale documents — purchased 119 and 121 Second Avenue for $9.15 million, according to public records spotted by the New York Post. 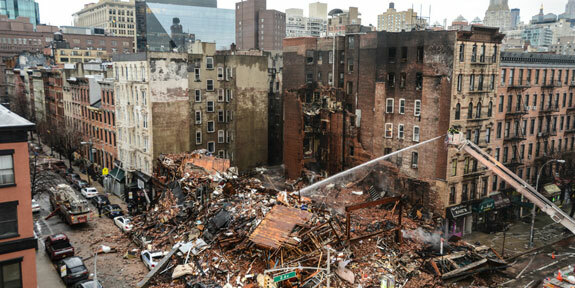 The third site destroyed in the blast, 123 Second Avenue, sold last year to Ezra Wibowo for $6 million — nearly $4 million under ask. George Pasternak was the seller. Hrynenko is facing charges of manslaughter, criminally negligent homicide, assault and reckless endangerment, as well as nearly two dozen lawsuits, according to the Post. The explosion — allegedly caused by Hrynenko’s use of an illegal cost-cutting gas delivery system — claimed the lives of Moises Lucon, 26, and Nicholas Figueroa, 24. More than a dozen people were injured.